Nigeria's Federal High Court (FHC) has dismissed a lawsuit filed against the National Biosafety Management Agency (NBMA) over a permit issued by the Agency for the commercial release of Bt cotton. An advocacy group and 16 other civil society organizations filed the suit in September 2017, asking the court to revoke the permit issued to Monsanto Agricultural Nigeria Limited in 2016 for the commercial release of GM cotton. Delivering the ruling on August 15, 2018, Justice A. R. Mohammed dismissed the case on the ground saying that it was statute-barred, and the court lacked the jurisdiction to entertain it. The Judge ruled that the matter was not a fundamental rights issue as claimed by the plaintiff, adding that it was instituted over a year after the cause of action arose. This case, he observed, contravened provisions of the country's Public Officers Act, which requires such an action to be instituted within three months. The plaintiff had named NBMA, National Biotechnology Development Agency (NABDA), the Federal Ministry of Environment, the Federal Ministry of Justice, Monsanto Agricultural Nigeria Limited, the Federal Ministry of Agriculture, and the National Agency for Food and Drugs Administration and Control (NAFDAC) as co-defendants. Reacting to the ruling, NBMA Director General Dr. Rufus Ebegba said that the victory was well-deserved, as it was a test for proper regulation of modern biotechnology in Nigeria. Dr. Ebegba said, "The judgment proves that our judiciary system is a beacon of hope." He said that NBMA remains an unbiased umpire in the regulation of genetically modified organisms (GMOs) and assured Nigerians that the safety of their health and environment will continually be the number one responsibility of the Agency. In July 2018, the country's National Committee on Naming, Registration and Release of Crop Materials officially approved and registered two Bt cotton varieties – MRC 7377 BGII and MRC 7361 BGII. 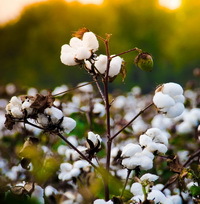 The FHC verdict now means all is set for farmers to access biotech cotton seeds. For more information, contact Rufus Ebegba at rebegba@gmail.com, or read more on the NBMA Website.